“‘When anyone brings a grain offering to the Lord, their offering is to be of the finest flour. They are to pour olive oil on it, put frankincense on it 2 and take it to Aaron’s sons the priests. The priest shall take a handful of the flour and oil, together with all the incense, and burn this as a memorial portion on the altar, a food offering, an aroma pleasing to the Lord. 3 The rest of the grain offering belongs to Aaron and his sons; it is a most holy part of the food offerings presented to the Lord. Now we come to the meal or grain offering, “Minchah,” in Hebrew, which means “Gift.” It is the only one that does not involve an animal sacrifice. We shall soon see why. It was to be made of “fine flour.” In order to make coarse grain into fine flour, you must grind and grind and grind and grind it until it is of the finest, smoothest texture; no lumps. Then it must be mixed with oil, beaten and pounded into the desired shape, and baked in the oven. If it was an unleavened “cake,” it must be “mixed with oil. If it was an unleavened wafer, it must be “anointed” with oil. Leaven is a depiction of sin. This offering contained no leaven because it represented Jesus in His perfect life. He was born without sin (leaven), neither did He commit any sin, nor did He “know” sin. In other words, His thoughts, actions, and motivations were completely without sin. The cakes were to be “mixed with oil,” but the wafers were “anointed with oil.” Sounds a little bit picky doesn’t it? What does it mean? It is a picture of Jesus, Who was born without sin…..(mixed with oil), oil being the Holy Spirit. He was was “anointed with oil,” upon coming up out of the waters after being baptized by John. At that time, The Holy Spirit rested ON HIM (poured over Him as oil) without measure. Such perfect and beautiful descriptions of Jesus, aren’t they? His character is perfectly smooth, nothing uneven or coarse, and He is not puffed up, as with “leaven.” Like flour with no lumps, He is perfectly balanced: He is Gentle but not soft; Kind but no pushover; Firm but not overbearing. Every which way you turn Him, His character is perfectly even; perfectly balanced! Because He was born without sin, the Holy Spirit could reside IN HIM and be poured out ON HIM without measure after His baptism. Oil was added to the flour per God’s instructions. As you saw, Oil speaks of the Holy Spirit. In and of itself, it speaks volumes in the way it was made. The olives used in making oil were pressed 3 times, each pressing yielding oil for different purposes. Jesus was “Pressed” in the Garden, at the scourging post, and at the cross, each time effecting a different aspect of our deliverance. 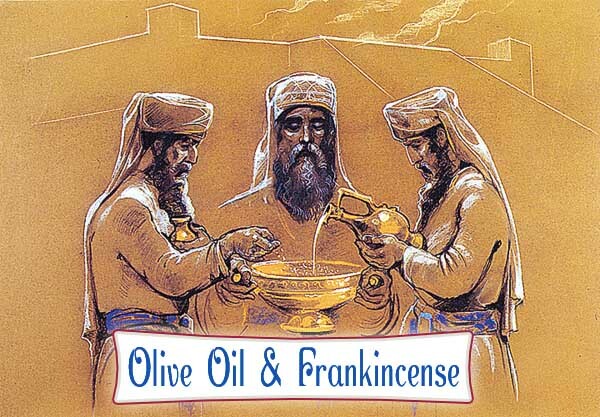 Frankincense depicts Jesus in His role as Great High Priest, representing us TO God. The way frankincense is made describes more of what Jesus went through in redeeming all of us. You may need to grab some tissues. Same for the article above. In the picture above, the striping looks very much like an open wound with tears dripping down! There are several species and varieties of frankincense trees. Each produces a slightly different type of resin. Differences in soil and climate create even more diversity of the resin, even within the same species. Boswellia sacra trees are considered unusual for their ability to grow in environments so unforgiving that they sometimes actually grow right out of solid rock! The initial means of attachment to the rock is unknown, but is accomplished by a bulbous disk-like swelling of the trunk. This growth prevents it from being ripped from the rock during violent storms. Sound like AnyOne we know? Yep! That’s our Jesus! What terrible torture He suffered: Slashings, stripes, beatings at the hands of man before He suffered the most ignominious death. Yet He was resolute. He never wavered in His task. The description of the tree growing out of solid rock depicts how firmly routed our Jesus was in His determination to save all of us. He was rock solid. Now you know why this offering has no animal sacrifice involved. 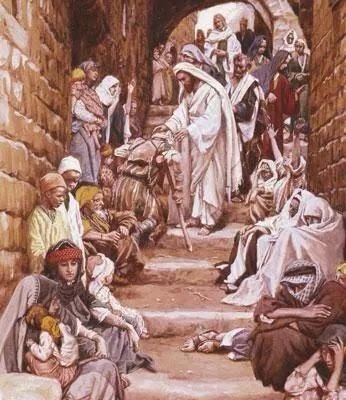 It depicts Jesus’ perfect, sinless LIFE. While it’s wonderful that Jesus lived a perfect life, if that’s all He did…..and I say that very reverently…..you and I would still go to hell. We can’t come to God just because He lived a perfect life. But that isn’t all He did. He offered Himself in our place and redeemed us back by His blood. It was that perfect life which qualified Him to die that death on our behalf. Odd that God speaks of Jesus’ death first and then His perfect life. He puts it first in the order of His book because, unless we understand and appreciate His death, we cannot fully appreciate His life. His perfect life does not avail for us without that death. But now, because of both, we can have sweet fellowship with our Abba! Jesus called Himself “The Bread of Life.” Think about it: When bread is made, normally leaven is added so that it will rise. After the dough is allowed to rise, it is then punched down, kneaded and shaped into a loaf, then put into the oven to bake. Then it becomes bread for us to eat. When Jesus died on the cross, our sins, our “leaven,” was placed on Him like a garment. He was then beaten, punched, and subjected to the fires of God’s judgment in payment for them all. That is how He became the Bread of Life to us. What a description, not only of His life, but also of what He suffered on our behalf! Please proceed to part 7 by following the link below. We will be discussing the Peace Offering and why it is place 3rd in the order of God’s book!